Most people don't realize, that being a vampire is about more than just stalking people at night and drinking their blood. As a creature of noble status, you have an appearance to upkeep. You can't just walk around in rags, expecting to get the kind of fear and respect you deserve. 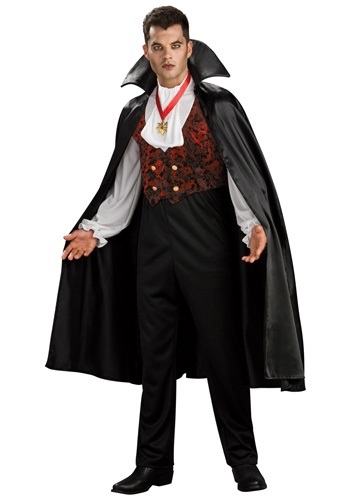 Anything less than a flowing cape and fancy ruffled shirt is just a crime to vampire counts everywhere. If Dracula opened a five-star, human-free hotel in Transylvania, who would you expect him to employ as bellhops? Zombies, of course! 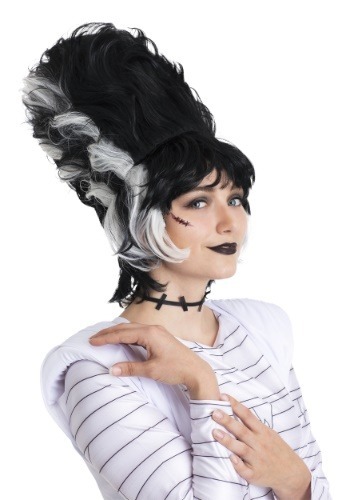 If your child wants to apply for a position, get this Child Hotel Transylvania 2 Bell Hop Costume. He'll fit right in! 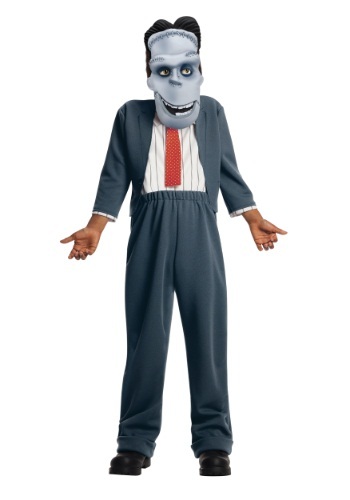 If your kid loved the movie, he's going to love being the funny character from the movie. This Hotel Transylvania 2 Frankie costume comes straight from the film. 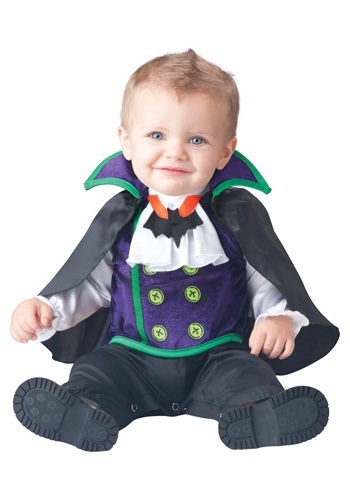 No one would ever think that there's a deadly vampire lurking inside your little one. Mostly he just crawls around, being adorable, but when he's ready to strike, your guests will never know it! 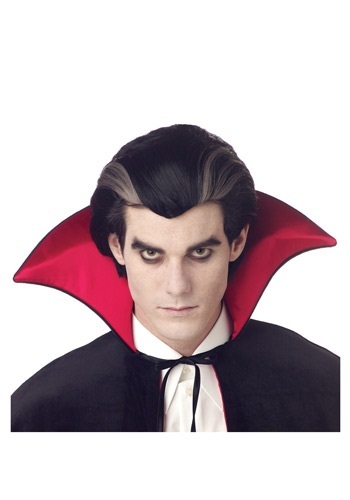 Unless, of course, he's wearing this Count Cutie Costume. Then everyone will be keeping their eyes on those little fangs of his. Transylvania can be a creepy place with Count Dracula and all the vampires hanging out there. They'd all be a little less scary if they were all small, adorable and dressed in a fancy shirt and cape. You might even want to invite them in for some candy, but that's when they'll get you! The cute ones are always the ones you have to watch out for. If you head to Transylvania and ask a barber for the Dracula cut, he'll probably just look at you funny. That's why it's better to just transform your do with one of these wigs. Besides, booking a flight to Transylvania just for a hair cut sounds like the plans of a crazy person. I know you have been dead for awhile and you just popped out of the grave and all... but your hair is a serious issue. It's all snarled and ratted and you need about twenty brushes in order for you to get your hair in check. Why don't you just use this Women's Transylvania Wig until you have time to do something with your hair. You never know when you could meet the monster of your dreams so you got to be prepared at all times!